Party Supplies There are 3 products. Small Communion Gift Bag. 3 3/4" x 5" x 2"
Medium Communion Gift Bag. 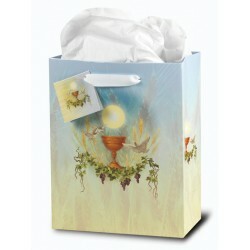 7 3/4" x 9 3/4" x 4"
Large Communion Gift Bag. 12" x 15" x5"